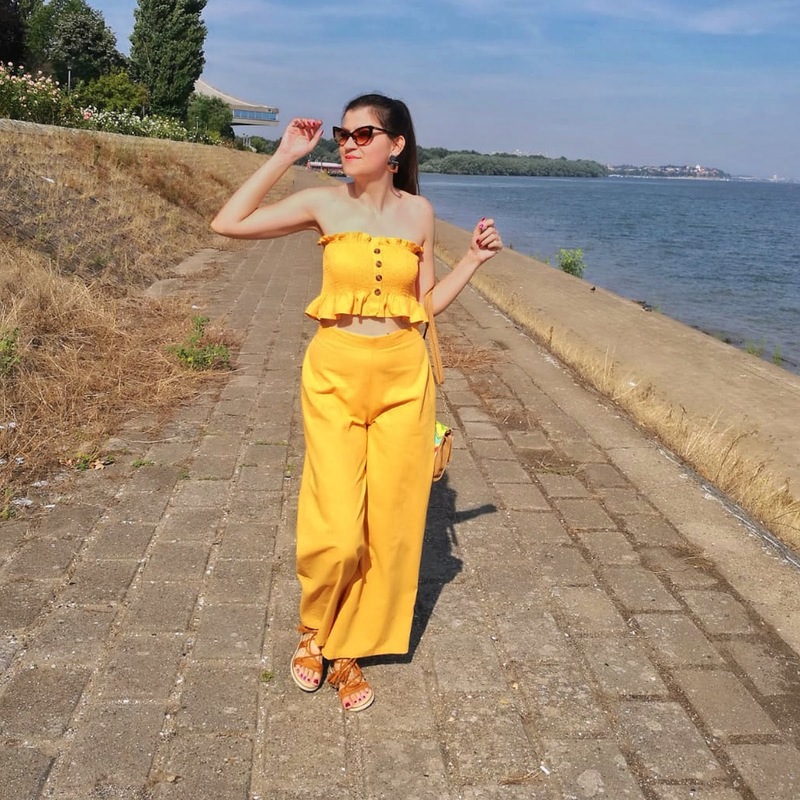 Wear total yellow and shine like a sun :) Joke on the side, the main wardrobe color this Summer is definitely yellow in all possible tones, from pastel yellow, bright yellow to mustard yellow and orange-red tones. 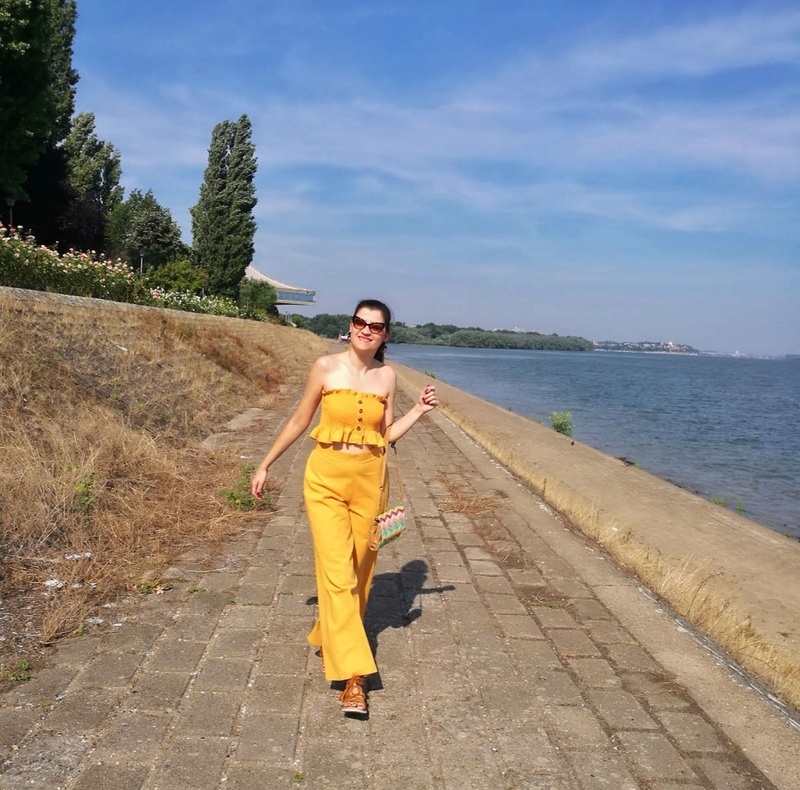 My today's outfit is a total yellow look with trendy linen mustard yellow two-piece set (available in more different colors) which includes cute crop smocked top and comfy wide-leg pants. I paired it with well fitting natural brown tones of gladiator sandals, cat-eye sunnies, statement earrings and colorful mini straw bag. In this outfit, I felt very comfortable and attractive, so I totally enjoyed the pleasant walk along the Danube quay. At the end of this post, you'll also see a beautiful dark blue bardot dress with lace on the upper side, which is very suitable for many elegant occasions. Unfortunately, I ordered a bigger size than I needed so I will not be able to show it on myself before I narrow it.